Note: Natural leather varies in colour, making any illustration a mere snapshot of an individual piece. The leather tag labels your luggage with your contact details. The tag is kitted with a card slot. Handcrafted from cow hide leather that will withstand the test of time. 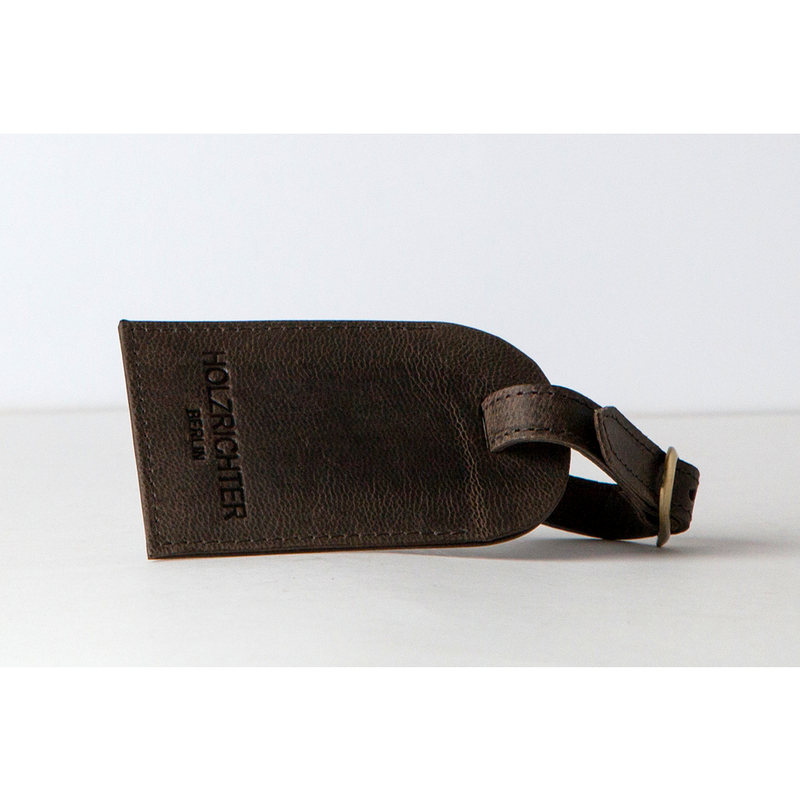 HOLZRICHTER leather is strong, shows a deep and complex colour profile and smells like good leather is supposed to. Making first-class leather with natural ingredients is a sophisticated and time-consuming process. The production of our leather guarantees an eco-friendly process which does not use harmful chemicals such as Chrome, PCP and Azo dyes. For sure, this is a much cleaner, safer way of tanning, making it healthier for people and planet. And it ist he well-tried secret of HOLZRICHTER leaving each piece as the unique expression of natural art. Note: The pictures shown above (#holzrichterberlin) were curated by the social networking service Instagram. The pictures may also show other products and serve illustration purposes only. Please choose the corresponding shipping type in the cart later.